The Policaro Automotive Family thinks the Bavaria Lounge at Policaro BMW in Brampton, Ont., is so luxurious dealership customers will enjoy the time they spend at the dealership while they’re having their BMWs serviced. 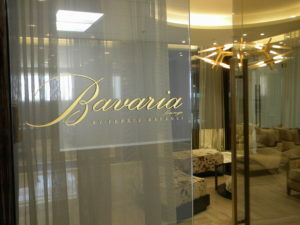 The Bavaria Lounge is located on the second storey of the facility and features the finest in luxury and design – from high-gloss exotic woods, slab marble flooring and glass walls to designer Ferris Rafauli’s sleek line of luxury furniture. Rafauli has won acclaim for his portfolio of mansions coupled with his exclusive home furniture collection. He is also well known for his design collaborations with flagship retail brands and is a designer for celebrities such as Drake and an exclusive clientele. 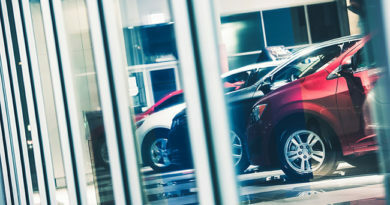 “In many ways, our dealership is leading the way into the future of automotive retail. 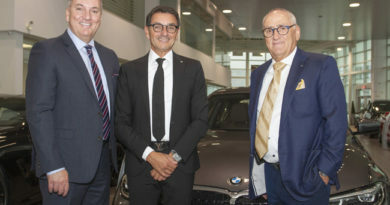 Dealerships are no longer just a place of sale, but experience centres—and the Bavaria Lounge plays a part in that,” says Francesco Policaro, dealership general manager. Rafauli says “I am passionate about designing all things luxury. It was a natural extension for me to bring my exclusive world of luxury designs to the automotive world where such passion for luxury is celebrated with each car BMW designs. “I am honoured to have designed a world class space that is the first of its kind in the automotive industry,” says Rafauli. To see how the Bavaria Lounge is helping turn Policaro BMW into an “experience centre,” check out the August issue of Canadian AutoWorld.